We’ll make this quick. As the headline might have suggested, you don’t have much time to scoop up the latest offering from Madewell—a pair of custom sneakers with a limited stock. 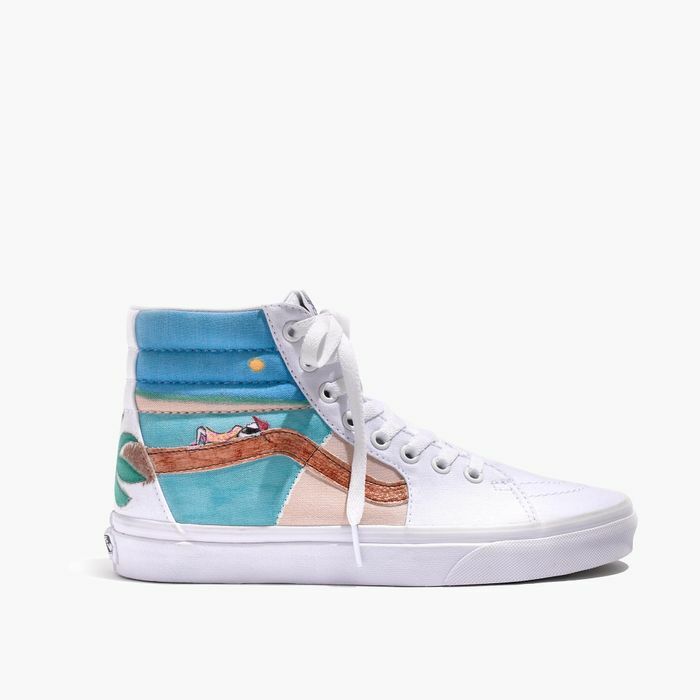 As Madewell shared on its Instagram this morning, it’s collaborated with Max Dower of Unfortunate Portrait to create 100 pairs of customized, hand-painted high-tops with a playful, pretty, and summer-appropriate motif. According to the site, the sneakers—classic Vans, specifically—are a part of Madewell’s Sneaker Series. The brand enlisted the L.A. illustrator to create “an a.m.-to-p.m. vacation scene," which naturally transpired into clear oceans, palm trees, and one relaxed beachgoer. We see a lot of ourselves in her. Don’t hesitate. Take a look at the custom design below, and then add it to your cart ASAP. With only 100 available, chances are high that you’ll be the only person you know who has a pair. Up next: Take a look at Selena Gomez's new Coach bag she co-designed.